The Unahi features an ultra-thin strap design in vibrant colors inspired by the sea. Soft nylon toe post accented with a welded hook logo. FOOTBED Patent-pending multi-layer footbed features soft ICEVA for maximum cushioning and a contoured plate for long-lasting comfort and stability. 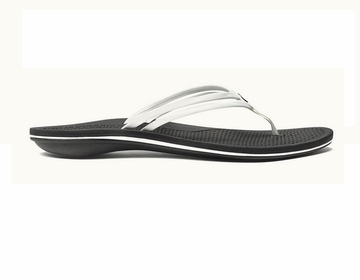 Footbed design features a textured fish pattern to improve underfoot traction when wet. Non-Marking Rubber Our thermoset rubber is a compound of natural and synthetic rubber that will not leave marks or �scuffs� on surfaces of any type. Our gum rubber outsoles, as a natural material, will always naturally be non-marking.